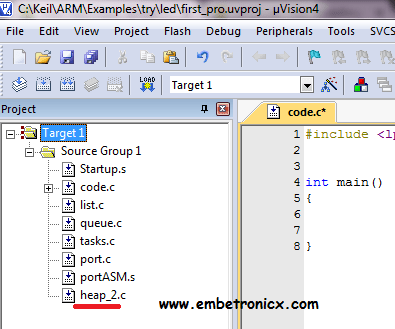 I assumed that you already installed Keil IDE for ARM and you know how to create a project in that. If you dont know please See Here. Now we will start. 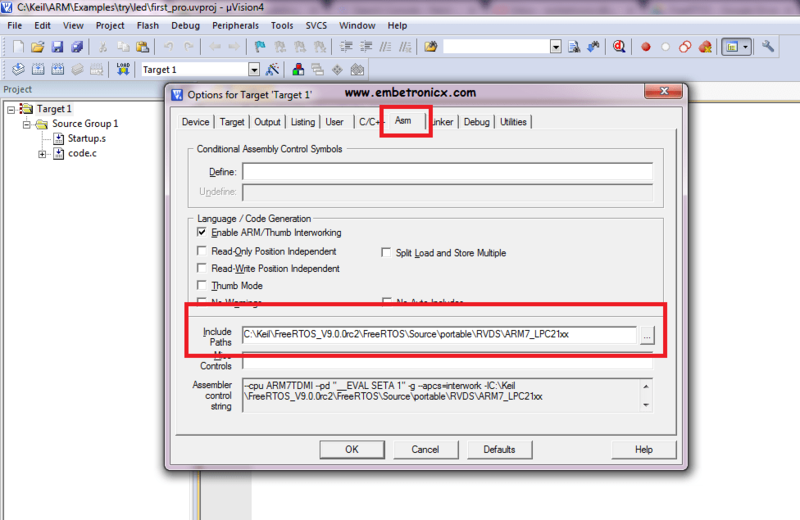 NOTE : This two steps are required for First time (Installation time). Not required for each time project creating. 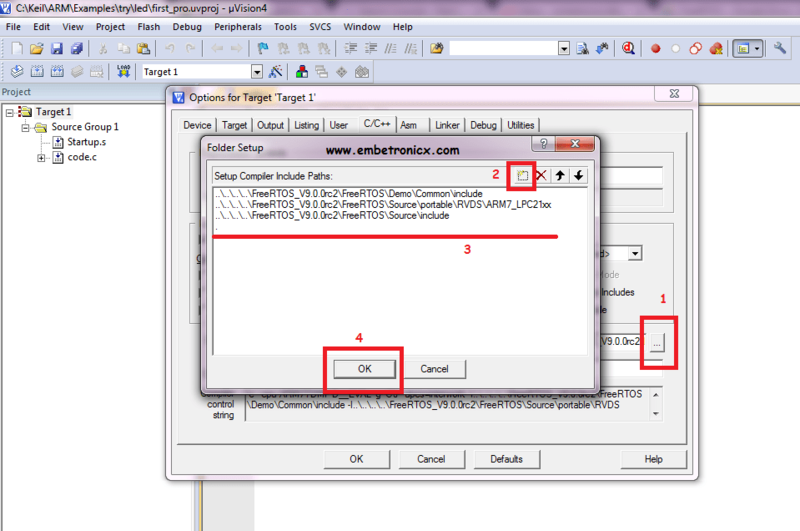 Again i’m reiterating these two steps only for Installation time. No need to copy every time. 1. 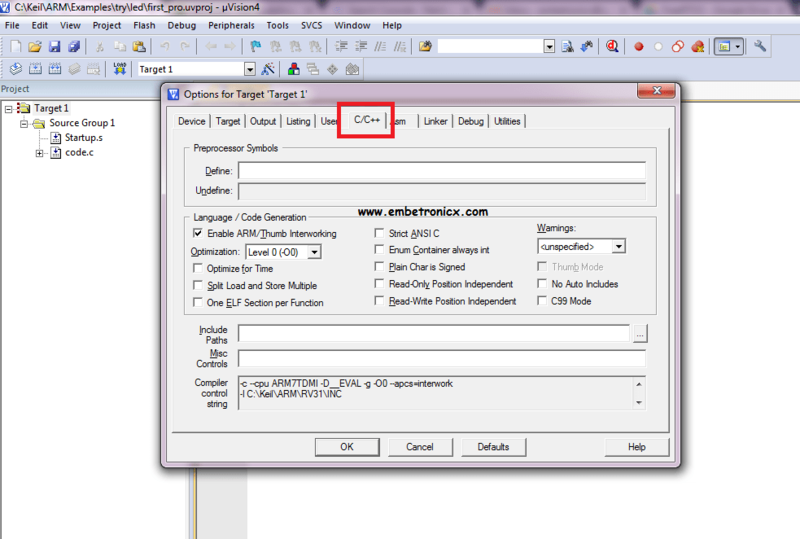 Open keil4uvision and create new project. If you don’t know how to create project Please go through Here. 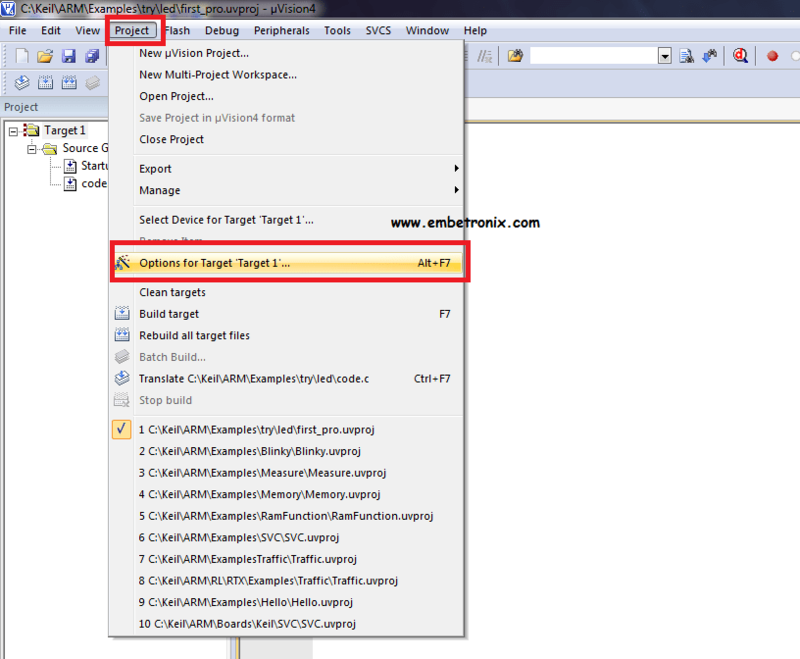 2. click Project and Options for Target ‘Target 1’. 4. Click on Define and type the context below. 5. Then in Include paths, add paths as like below. 6. 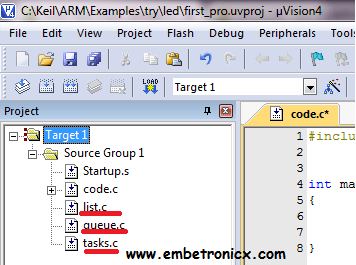 Then click Asm then paste below line in include paths. 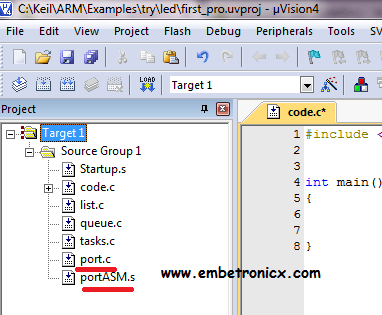 2. portASM.S (this file appears only when we select all files in file type). 10. Final step. 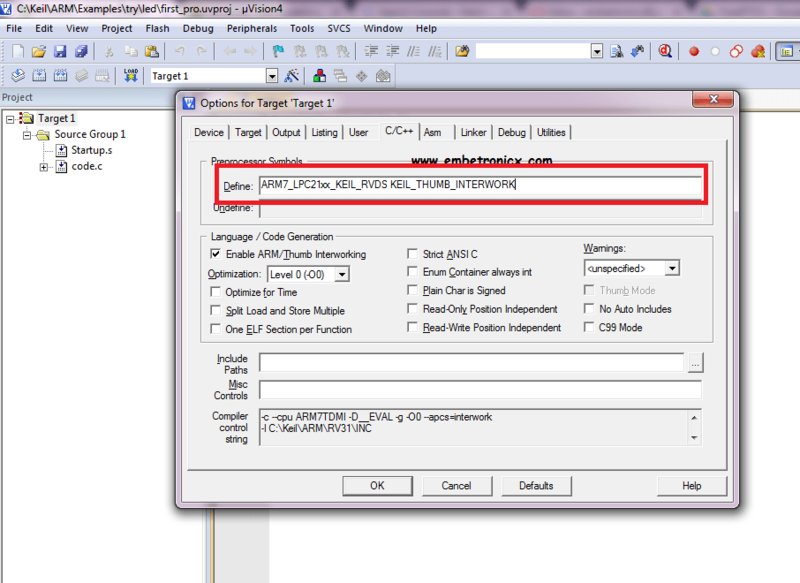 Copy the whole content in downloaded startup.s file and paste it into the startup file which is attached in the project. The thing is you should do this for every time you are creating new project. when you are doing lot of projects you will fed up with this. But what to do? We have to do this. Because we are Engineers 😆 If you have any doubt please comment below.